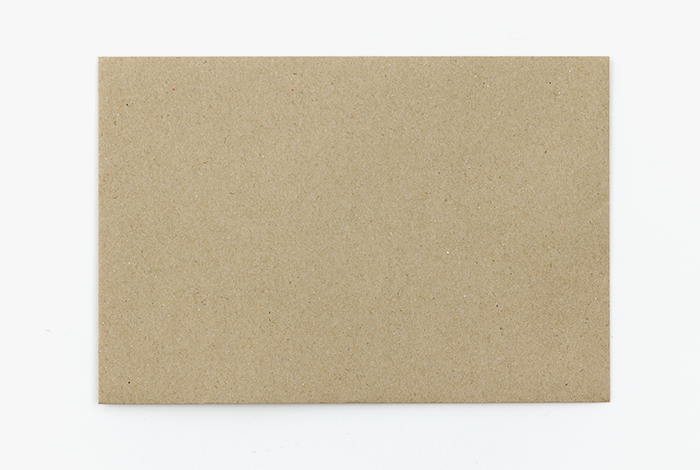 This is an envelope made in Thailand that uses kraft papers. 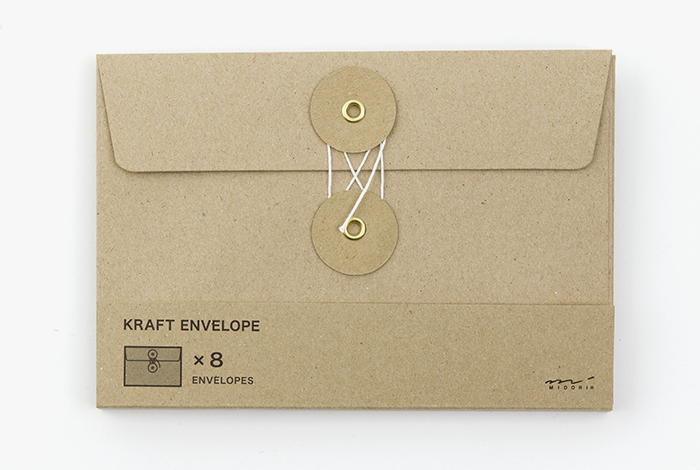 The string used on this envelope is used to close the lid. 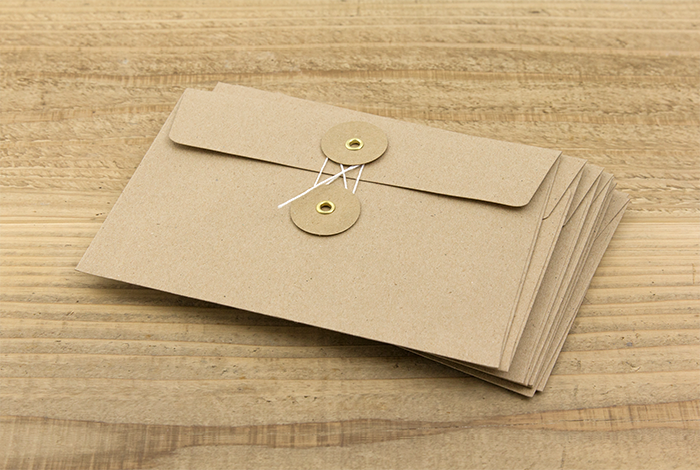 The act of coiling up the string when closing it will deepen the sender’s affection towards what’s inside, and the act of opening the envelope will definitely bring a sense of excitement to the receiver. 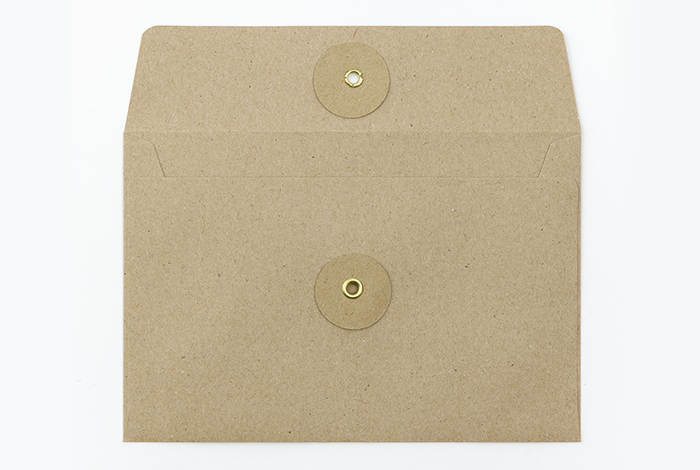 The spec of this envelope allows one to open and close it multiple number of times, so it suits in storing papers and photos collected during one’s trip. 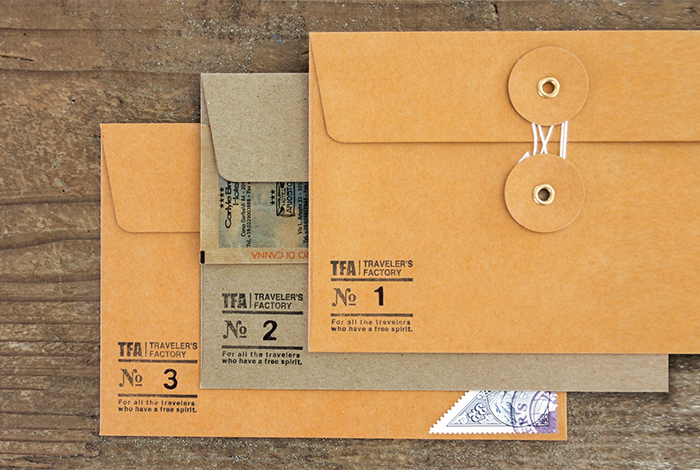 The <M> size allows you to put L sized photos and postcards. You can even use this size to mail it, and by pasting this on the cover of your notebook, you can even use this as a pocket. It’s also worth pointing out that it goes perfectly well with the <B6> sized Spiral Ring Notebook.